British Empire Far East Style Pith Helmet, U3398. Costume version of the Famous Gunga Din - Afghan war era British Empire Desert helmet. 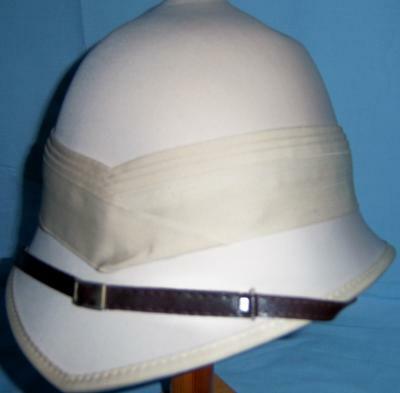 Grab your Cavalry saber and Enfield .308 and charge into history with this jolly-good synthetic pith helmet reproduction with chinstrap.